Soft Cover, 180 pages, 5.5 x 8.5. 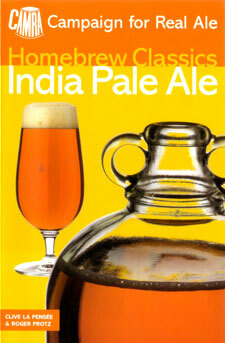 India Pale Ale played a revolutionary role in the development of modern brewing. The first true pale beer, it not only replaced mild, porter and stout in beer drinkers affections but it also inspired pale ale and bitter in Britain as well as the first commercial lager in central Europe. This book not only traces the roots of IPA from Hodgons Brewery in Bromley-By-Bow, London, but also includes 25 recipes for making your own IPA at home and other useful brewing information.